During the sixteenth century, no part of the Christian West saw the development of a more powerful and pervasive astrological culture than the very home of the Reformation movement-the Protestant towns of the Holy Roman Empire. While most modern approaches to the religious and social reforms of that age give scant attention to cosmological preoccupations, this study argues that astrological concepts and imagery played a key role in preparing the ground for the evangelical movement sparked by Martin Luther in the 1520s, as well as in shaping the distinctive characteristics of German evangelical culture over the following century. Spreading above all through cheap printed almanacs and prognostications, popular astrology functioned in paradoxical ways. It contributed to an enlarged and abstracted sense of the divine that led away from clericalism, sacramentalism, and the cult of the saints; at the same time, it sought to ground people more squarely in practical matters of daily life. The art gained unprecedented sanction from Luther's closest associate, Philipp Melanchthon, whose teachings influenced generations of preachers, physicians, schoolmasters, and literate layfolk. But the apocalyptic astrology that came to prevail among evangelicals involved a perpetuation, even a strengthening, of ties between faith and cosmology, which played out in beliefs about nature and natural signs that would later appear as rank superstitions. Not until the early seventeenth century did Luther's heirs experience a "crisis of piety" that forced preachers and stargazers to part ways. 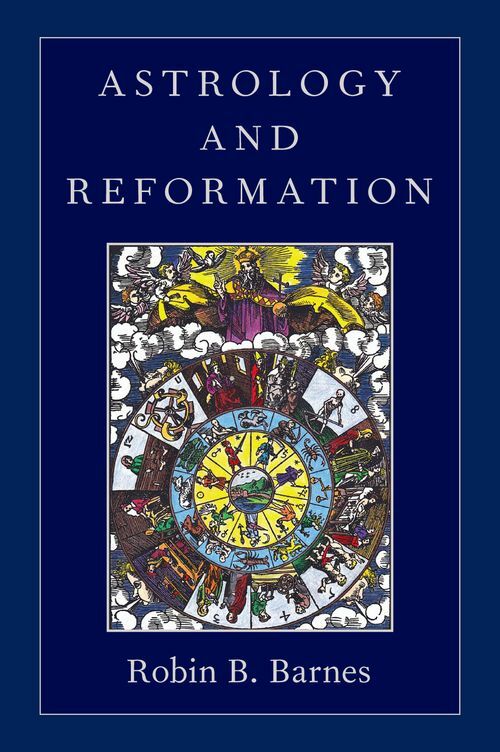 Astrology and Reformation illuminates an early modern outlook that was both practical and prophetic; a world that was neither traditionally enchanted nor rationally disenchanted, but quite different from the medieval world of perception it had displaced. Robin Barnes grew up in Ho-Ho-Kus, New Jersey. A graduate of Colby College in Waterville, Maine, he received a doctorate in European history from the University of Virginia. Since 1980 he has lived in Davidson, North Carolina with his wife Ann Lee Bressler, the mother of their two grown children and also an historian. After family, friends, learning, and teaching, he harbors aspirations as a sailor and outdoorsman.